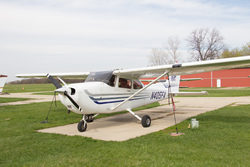 At Westosha Flying Club, we offer not one, not two, but five aircraft to choose from. Since we have so many aircraft, scheduling a plane is almost never a problem.There is usually something available to fly at all times. We offer different types of aircraft to fly. 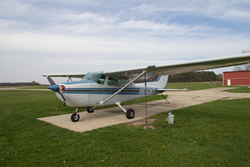 We have one Cessna 152 and four Cessna 172s. 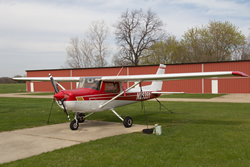 We are most proud of our two Cessna 172 SP's. 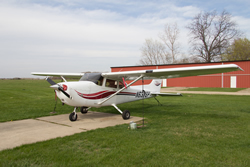 And due to our club's not-for-profit organization, you will not find a less expensive place to fly one of the newer skyhawks. 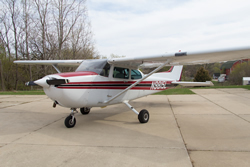 All of our four-place aircraft are certified and maintained for IFR flying, and are all equipped with GPS, making these planes great for beginning to advanced pilot, as well as extended cross-country trips. The IFR certified GPS's in the 172's have current and legal data bases for enroute and IFR approaches.